Great news!! | Stampers With Altitude!!! 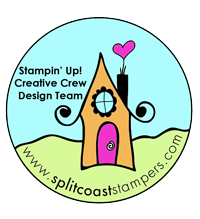 I love Stampin’ Up! Everybody knows this!! They are giving us some great new specials I just have to tell you about! Two sets came out since I probably last blogged about them. The latest one is “Best of Christmas”. You click on the image below to go directly to my website! I am super excited about this one. I love the ornament that goes with our ornament punch!! If you aren’t in the mood for Christmas yet, here’s last month’s Best of Stamp set, “Best of Autumn”. You can click on the image below to go directly to my website. I love the leaf and the sentiment!! I can’t wait to watercolor these stamps!! This is a line of “employee or customer designed” stamp sets. You can visit the site and upload your artwork! Click here: In With You! Here is the latest winner!!! Click on the image below to go to my website! Become a demonstrator for ONLY $25!!! There is time restrictions on this promotion see the flyer below. You must sign up between October 7th and October 21st. If you click on the flyer, it will take you to my site to sign up as a demonstrator! I would love to have you on my team! Most of my ladies have been with me for over 4 years!! If you sign up on October 7th, I have a surprise for you. You MUST contact me ahead of time, in order to receive it!! If you host a workshop during the month of October, you get a BONUS $25 in Stampin’ Up! Product!! OMW!! I love to teach people to craft and I would love to host a workshop for you! Just contact me!!!!! If you book your party before October 7th, I have a gift for you. You must contact me before 8 PM on the 7th!! « One down, 29 to go.